The first is from Brian at Brian’s Backpacking Blog. 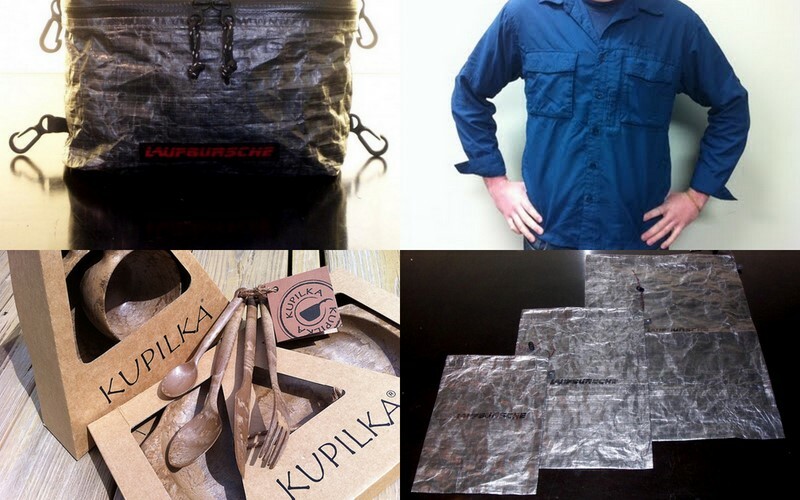 Brian is giving away a complete Kupilka Starter Kit. This kit has it all, from cups, to bowls to plates and even the utensils used to eat with! To enter is simple. He has a few questions that you simply answer and then send it as an email to him. This contest will carry on until April 30th, so there is still time to get your entry in! I came across the next one while kicking around Jason Klass’s site a few days ago. Hiking Boots Blog is giving away a Hi-Tec Men’s Salt Creek Shirt to one lucky winner! To enter, simply like their post on FaceBook, and then leave a comment on the blog stating where you will sport the shirt, and why? The contest will run through April 19th, so be sure to get those post’s in quick to be eligible for this one! Last on the list is the flip side to Lighthiker’s contest over at hrXXlight…More cuben fibre from Laufbursche is the prize, this time in the shape of a hip belt pocket, and black. This contest has the same rules as the contest from Lighthiker, which means that the time is almost up for this one as well, tomorrow to be exact. So, get those fingers going and leave a post on his blog post for your chance to win the coll new black cuben fibre hip belt pocket! This entry was posted in Blogs, Gear and tagged Backpacking, black cuben fibre, Brian's Backpacking Blog, Cuben Fiber, cuben fibre, Gear, give-a-ways, Hi-Tec, Hiking Boots Blog, hip belt pocket, hrXXlight, Kupilka, Laufbursche, Lighthiker, Men's Salt Creek Shirt, raffles, stuff sacks. Bookmark the permalink.